Lane change to the right (move the lever partway and release it) The right hand signals will flash 3 times. Lane change to the left (move the lever partway and release it) The left hand signals will flash 3 times. 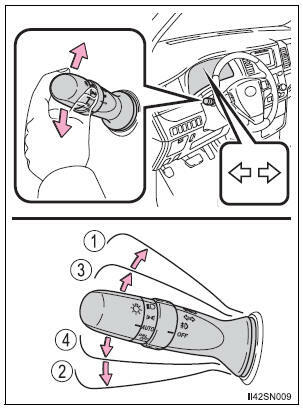 Operate the lever in the opposite direction.